Everyone tells you that the money is in the list. What they are referring to is an email list or direct mail list of people who gave you PERMISSION to contact them. It is not a list of leads that you buy from a lead broker. Instead, it’a list of leads that you build up yourself. It’s a list of people who “opt-in” and request to hear from you on a regular basis. It’s partially true that the money is in the list. However, having a large, targeted list is just the starting point. Just because you have a big list doesn’t mean you can make a lot of money with your list. Ultimately, it boils down to your RELATIONSHIP with your list. In other words, do the people on your list like you, know you and trust you? Do they look forward to getting your emails or direct mail? Do they actually read your message? And do they trust what you say and recommend? Without the relationship, and a strong sense of trust, it’s almost pointless to even have a list. I see so many online marketers really mess this up. They build a big list, but all they do is send sales messages and offers to their list. They do very little to educate and provide value to their list. It’s all about making a fast dollar. That’s really an epic mistake. If you’re going to take the time and money to build up a list that can potentially pay you for many years to come, you need to take a smart business approach. 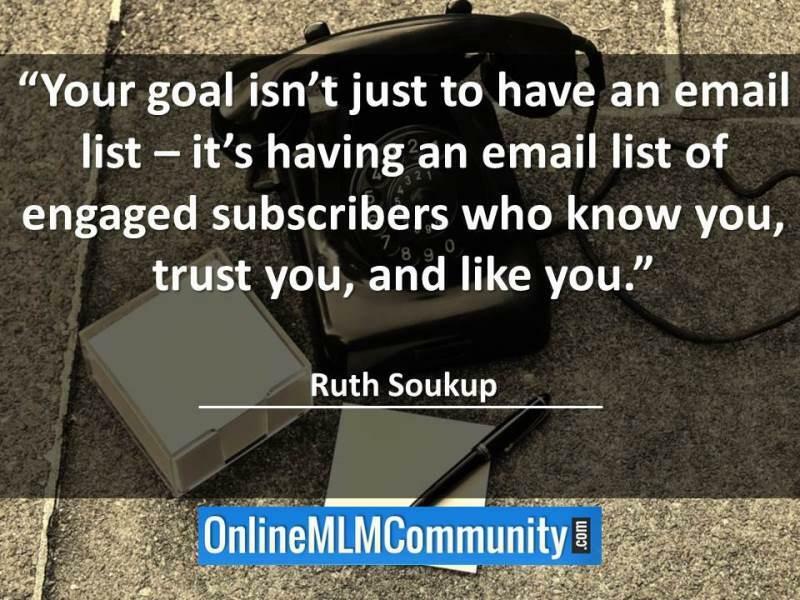 You want to make sure that most of your messages either entertain or educate the people on your list. You want to share things they will be interested in and educate them at the same time. Think about it, do you like to get continuous sales messages from the same person? How often would you stay subscribed to a list if all they did was try to sell you stuff every message? If you’re like most folks, you’d probably unsubscribe by the second or third email. Think about what type of lists you stay subscribed to. Why are you subscribed to them? If I had to guess it’s because the list offers you value! The list owner sends mostly educational, entertaining or inspirational messages. Sure, they might send a sales offer every fifth or tenth email, but most of their messages are high value. To succeed in online or offline marketing, you need to do the same thing. Build a list, build a relationship with your list by educating them, and then monetize the list AFTER they know you, like you and trust you. Do this and your list will be like an ATM machine where you can generate cash on demand. Do nothing but send out sales messages and you will make a few random sales, but most people will unsubscribe or report you as spam within your first few emails. Yes, the money is in the list. I make a nice income from my list. But I do what smart marketers do and spend most of my time building up a relationship with my list by providing value. I hope you will do the same thing. What are your thoughts about list building? Do you think the money is in the list? Leave a comment below to share your thoughts. I look forward to hearing from you. Plus, here is a great video from an expert… Noah Kagan. Relationship building is a skill that I think has to be taught. 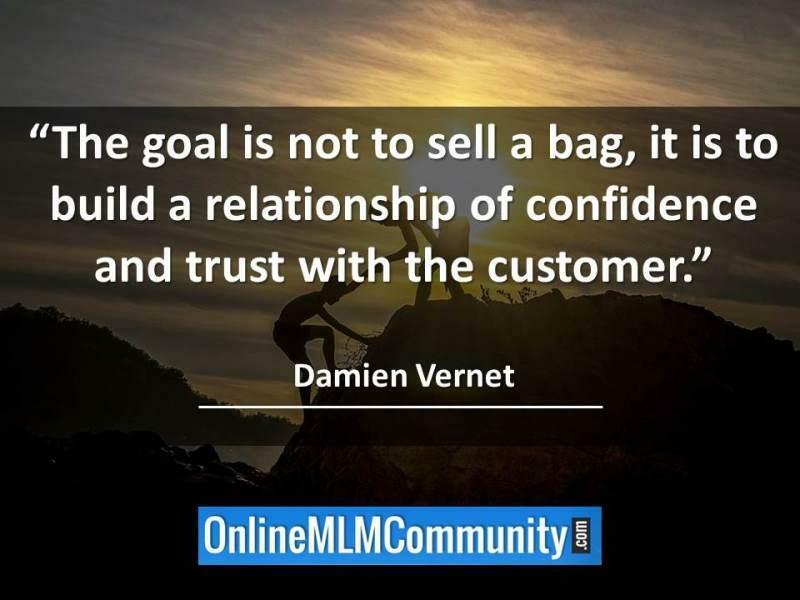 Very few people know or understand what it takes to maintain a healthy relationship with someone, but in MLM it is a skill that one has to learn. How on earth can you expect for people to trust you if you do not take the time to establish a relationship with them? I know I’ve never trusted a stranger. Relationship building is a process, and it is one that takes longer with some individuals than with others in my experience, but it breeds results. People who trust you are loyal to you whether as customers or as distributors, and in my eyes that is worth the investment of time. Trust is very important. It takes time to make that happen, but it’s time well spent. That’s why I’m giving list building lots and lots of effort. One of the best things I ever did in my business was start building a list. I started about four years ago and I now have several thousand active subscribers spread across several different list. I also have a good direct mail list going. Many of the folks on these lists have teamed up with me in my business, or bought affiliate products that I recommend or hired me for coaching. It’s really a win-win. My list is more valuable to me than this blog. I must say a huge amen to this post. I have signed up for certain offers and I find myself deluged with sales messages. The place they end up is in the spam folder, but there are those, like your items, that give educational value. It is a joy receiving those emails, and the few times that they are sales related, I think nothing of it. I even sometimes purchase because I realize that I am supporting a friend. That is one of the most annoying things; to be overloaded with sales messages frequently without the individual taking the times to really establish any sort of connection with you. It sort of makes you feel like you are not looked at as a valuable member of the company (as a customer) but rather as just a dollar sign. I also appreciate those people who take the time to build a relationship with me by sharing information and insight. It lets me know that I am more than money to them, but I am someone they are about and want to help me as I in turn help them. That is my entire strategy in a nutshell. Educate people on my list and send them an offer every so often. I want people to look forward to my emails because of the value I provide them. That is what I really like about your system Chuck. You make it personal instead of making the people you contact just a number, or as Diamond said, a dollar sign. The other thing I love is your mission to teach other network marketers this approach. Maybe, with your teachings and the help you provide, our email spam folder will lighten up, and the people who have products and services will look at all of us as people instead of looking at us with greed. It is important to use a good system of contacting that list on a regular basis; not always selling, but providing educational benefits too. My whole strategy is to educate and let my sales come from people that I educated. Yes, I have much more respect for the marketer who provides me with educational reading than I do the person who goes straight to a sales message. I believe that if we were to take a poll, the majority of consumers feel the same. If you can get some knowledge from the marketer, you are more apt to have the trust to purchase from them. If they are just out for the sale from the start, odds are they will forget about you after they get some of your money. I agree with you completely that building a relationship and respect are the key factors of establishing a responsive list. Thanks for the tips. 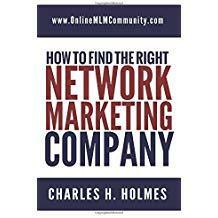 As a newbie in network marketing this will truly be a lot of help. I never saw anything like this. Much appreciated – gives me hope that I will make it some day soon. Anyone can build a list, but it takes a smart businessperson to develop a relationship with that list.